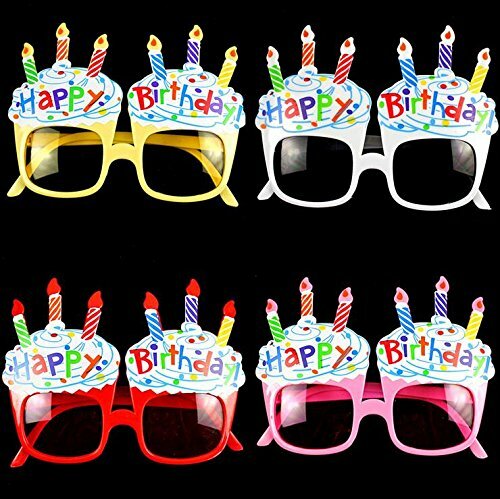 Description These are great to wear out in the Birthday party, or for a birthday party out in the sun. The cool design will ensure its popularity among women and men, girls and boys, which will make your whole style more eye-catching and special. 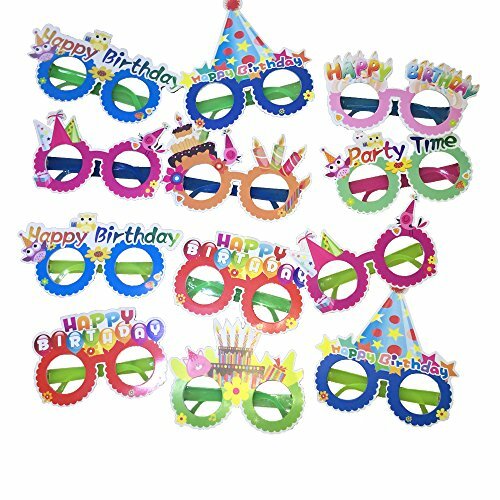 The party pack includes 12 counts of birthday glasses party favors. 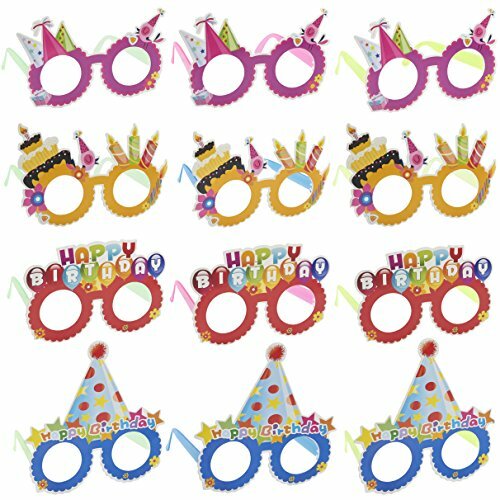 The party glasses are perfect for kids and adults' birthday parties. 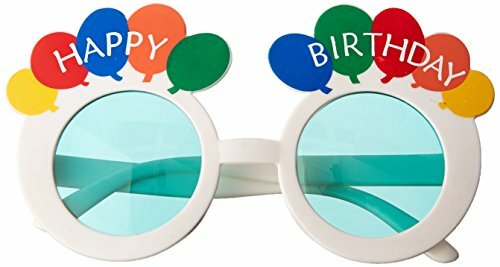 Some glasses spell "Happy Birthday" with cute illustrations include birthday cake, candles, birthday hat, bird, gift boxes, and flowers. 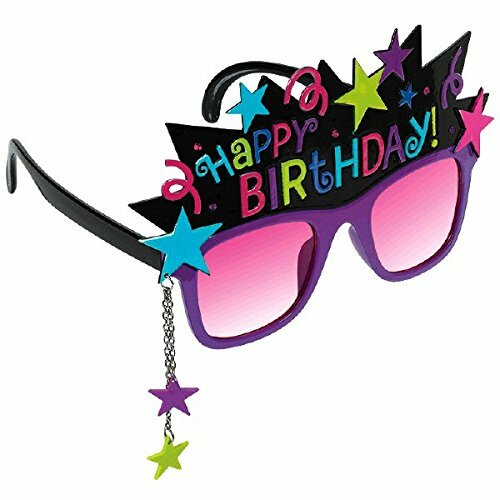 Share them with your friends, family, and guests to make the party the coolest one ever! They are designed to fit most girls, boys, and adults. 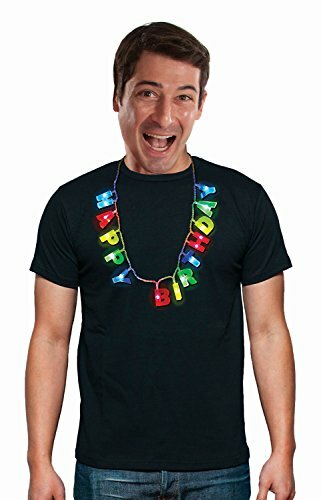 Light Up Happy Birthday NecklaceWhen silly hats and clapping waiters just don't command enough attention, this light-up necklace surely will! Glowing letters spell out the celebration in three different modes: fast flash, slow blink, and steady on. Includes 3 replaceable button batteries. 16" long. WARNING: Choking Hazard - small parts. Not for children under 3 yrs. 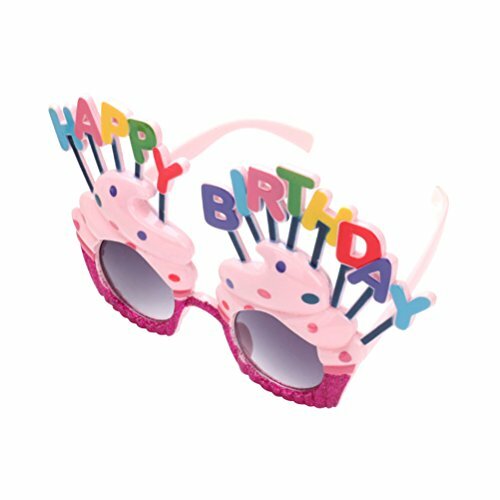 Get into that great birthday party spirit with this Chic Birthday Fun shades! Have the VIP, or everyone, wear this and in vibe that infectious festive party groove. Perfect as a costume accessory or photo booth prop. 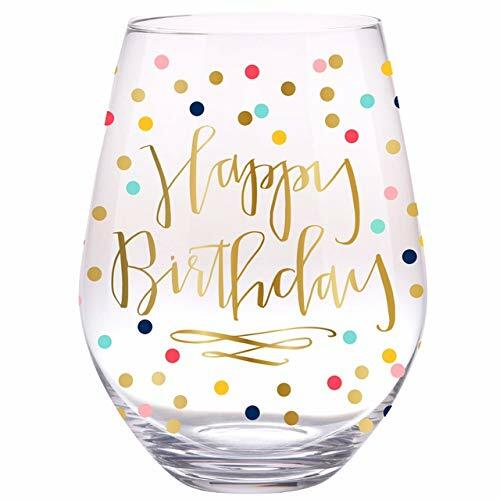 Happy Birthday song on wine glasses.